In an effort to better serve our researchers, librarians, and others in the academic community, SciRef believes clarity in the publishing record is a critical component of information distribution. Recognizing a published article as a finalized "Version of Record" establishes the expectation that it can be relied upon as accurate, complete, and citable. SciRef defines this Version of Record as the initial article publication for open access journals. It is presumed that manuscripts report on work based on honest observations. However occasionally information becomes available with may contradict this. In such situations SciRef Publishing journals apply Committee on Publication Ethics guidelines on corrections, retractions and expressions of concern. Errors in published papers may be identified requiring publication of a correction in the form of a corrigendum or erratum. Because articles can be read and cited as soon as they are published, any changes thereafter could potentially impact those who read and cited the earlier version. SciRef provides authors with an opportunity to review article proofs prior to publication with the express goal of ensuring accuracy of the content. Publishing an erratum or corrigendum increases the likelihood readers will find out about the change and also explains the specifics of the change. Corrigenda and Errata are published on a numbered page and will contain the original article's citation. Cases where these corrections are insufficient to address an error will be dealt with on a case-by-case basis by the Editor in Chief. Inadequacies arising from the normal course of new scientific research are not within the scope of this and will require no correction or withdrawal. Where substantial doubt arises as to the honesty or integrity of a submitted or published article it is the Editor in Chief's responsibility to ensure that the matter is adequately addressed, usually by the authors' sponsoring institution. It is not normally the Editor in Chief's responsibility to carry out the investigation or make a determination. The Editor in Chief should be promptly informed of the decision of the sponsoring institution and a retraction printed should it be determined that a fraudulent paper was published. Alternatively, the Editor in Chief may choose to publish an expression of concern over aspects of the conduct or integrity of the work. Articles may be withdrawn by corresponding author before accepting for publication. If it is accepted, it could be used only for Articles in Press which represent early versions of articles and sometimes contain errors, or may have been accidentally submitted twice. Occasionally, but less frequently, the articles may represent infringements of professional ethical codes, such as multiple submission, bogus claims of authorship, plagiarism, fraudulent use of data or the like. Articles in Press (articles that have been accepted for publication but which have not been formally published and will not yet have the complete volume/issue/page information) that include errors, or are discovered to be accidental duplicates of other published article(s), or are determined to violate our journal publishing ethics guidelines in the view of the editors (such as multiple submission, bogus claims of authorship, plagiarism, fraudulent use of data or the like), may be "Withdrawn" from SciRef. Articles which have been published under an issue could not be withdrawn. 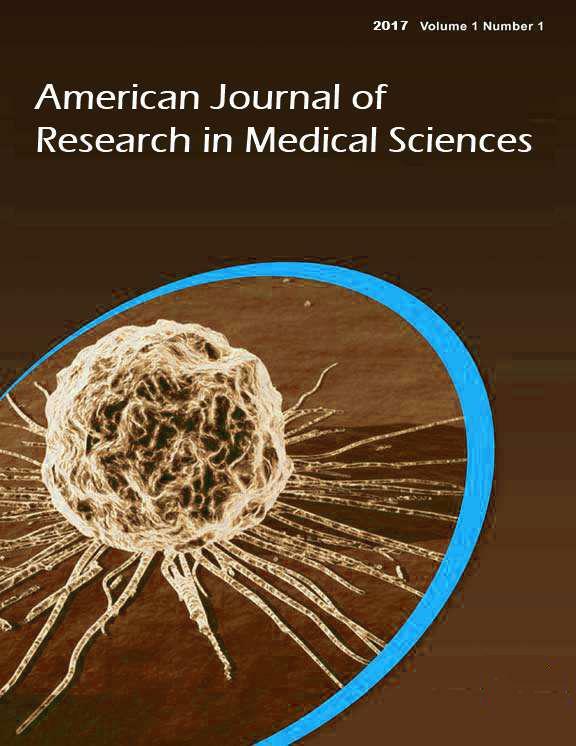 - A retraction note titled "Retraction: [article title]" signed by the authors and/or the editor is published in the paginated part of a subsequent issue of the journal and listed in the contents list. - In the electronic version, a link is made to the original article. - The online article is preceded by a screen containing the retraction note. It is to this screen that the link resolves, the reader can then proceed to the article itself. - The original article is retained unchanged save for a watermark on the .pdf indicating on each page that it is "retracted." - The HTML version of the document is removed. In an extremely limited number of cases, it may be necessary to remove an article from the online database. This will only occur where the article is clearly defamatory, or infringes others' legal rights, or where the article is, or we have good reason to expect it will be, the subject of a court order, or where the article, if acted upon, might pose a serious health risk. In these circumstances, while the metadata (Title and Authors) will be retained, the text will be replaced with a screen indicating the article has been removed for legal reasons. In cases where the article, if acted upon, might pose a serious health risk, the authors of the original article may wish to retract the flawed original and replace it with a corrected version. In these circumstances the procedures for retraction will be followed with the difference that the database retraction notice will publish a link to the corrected re-published article and a history of the document.